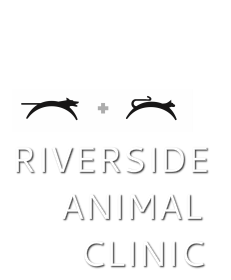 Riverside Animal Clinic recommends regular wellness exams for the same reason your physician and dentist recommend them – if we can detect a problem in its early stages, it's more likely to be treated and resolved with less expense, less difficulty and better success. Here are pages with what we recommend as general wellness programs for your cat or dog, throughout each stage of their life. Note that these guidelines may differ based on your pet's breed (as some are predisposed to certain health problems), age, lifestyle and overall health.